Sacraments in all their truth and purity. "Everything, therefore, in the Christian Church is ordered to the end that we shall daily obtain there nothing but the forgiveness of sin through the Word and signs, to comfort and encourage our consciences as long as we live here. We are in the Christian Church, where there is nothing but [continuous, uninterrupted] forgiveness of sin, both in that God forgives us, and in that we forgive, bear with, and help each other." This is a characterization of the Christian church generally, and it is hopefully expressed in particular at the congregation at Bethel Lutheran Church. As a congregation going forward, we will continue to proclaim and express God's forgiving love in Christ both to one another and to the world. We trust the Holy Spirit to call people to our church in response to that forgiveness. However, we are situated in a time when those features of a church are not necessarily resonant with the broader culture. We live in a secular age where concepts such as "sin" and "redemption" no longer have meaning, and where people at their most religious are "believing but not belonging" to any particular communion. The future of such a parish as ours--liturgical, confessional and sacramental--may be in doubt. Nonetheless, we remain confident in one singular truth--that there is indeed one God, who created, loves and forgives us through his Son, Jesus Christ. We trust in Christ's promise that the gates of Hell will not prevail against His church, nor will the many false beliefs that abound in this secular age. We are grateful to belong to a congregation such as Bethel, and to hold fast to the strong foundation of Word and Sacrament that allows us to serve God in Christian love for each other and our neighbors. On October 16, 1934, Pastors Malt, Graebner, Tieman, Dietrich, Fischer and Martens, along with some students of the seminary canvassed the territory from Vilsack Road to Eade Street of Elfinwild, finding a prospect list of approximately 28 souls. This was reported to the Pittsburgh Church Extension Society, with the recommendation that a Lutheran Mission be started as soon as possible. 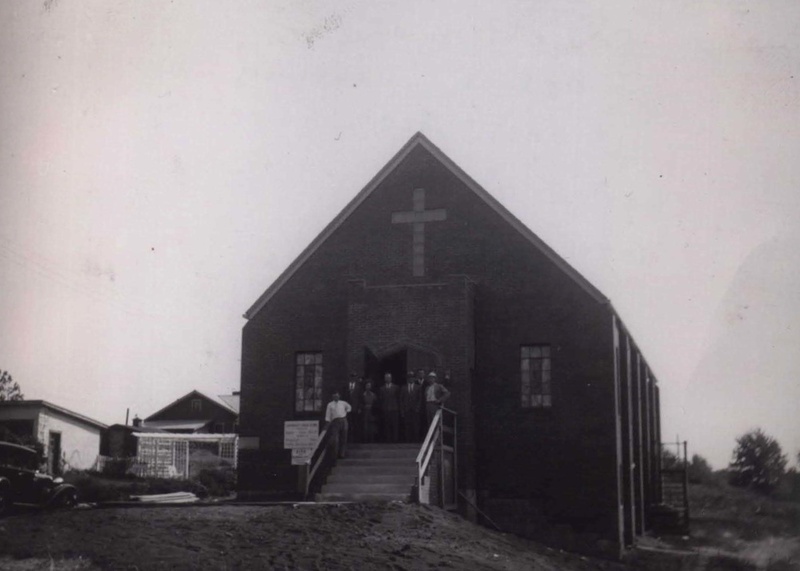 On April 28, 1935, Reverand Tieman, the minister at Mount Calvary Evangelical Lutheran Church in West View, conducted a worship service in the DeHaven Public School on Mount Royal Boulevard in Glenshaw on Sunday afternoon. There were 77 souls present. The collection was $17.44. That was the first service conducted in Shaler Township, Pennsylvania, by individuals who would later organize Bethel Evangelical Lutheran Church. Arthur Litke has served the congregation of Bethel Evangelical Lutheran Church since 1996. Since that time he has led the church as well as serving on many boards and committees in the greater area of Lutheran organizations. Through the grace of our Lord and the help of our congregation we have been able to do many things over the years to the betterment of all mankind. Near and abroad, to both believers and those whom have yet to find the the salvation that is Jesus Christ. We have brought food to the hungry, Bibles to those who have not, Christmas presents to children that would otherwise be without, a place to worship for migrants or refugees that have no structure for their congregation to meet. As well as a home of homes for all those local or willing to travel to be with us from Sunday to Sunday and in-between.